Thefanboyseo.com is proud to present our TROLLS review. Featuring the voices of Anna Kendrick and Justin Timberlake. Distributed by 20th Century Fox and opens November 2. The movie is based on the toyline from yesteryear that was all the rage in the 90s. That line grew to such huge proportions that they even had an “action figure” line complete with animated series (I swear I did not dream that up). This movie though is a stripped down version. The movie opens with an introduction to what a (non-Internet) TROLL is and what they are known for. We also get to meet their main “enemy”, the Bergens who literally find happiness in eating trolls. 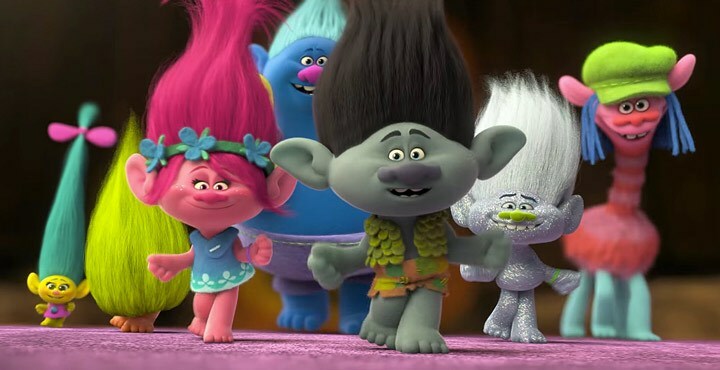 So the main conflict for the film is that there are several Trolls that have been captured and brought back to the Bergen’s town 20 years after their exodus during what the Bergens call “Trollstice”. 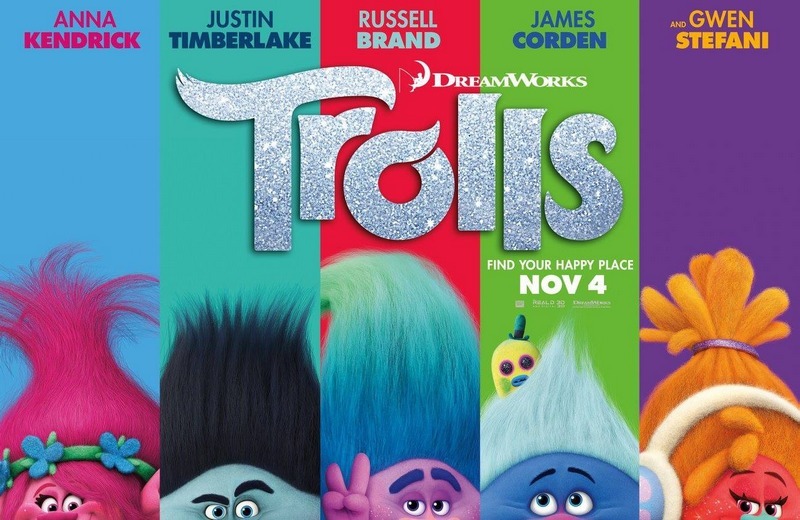 Now its up to the Troll princess Poppy (Anna Kendrick) and pessismistic Branch (Justin Timberlake) to rescue the trolls before they become dinner. Along the way, viewers will be treated to a fresh mix of pop songs together with original songs. Some come even complete with comedic timing. Mind you its not just the trolls doing the singing towards the second act of the film, we even get the Bergens doing some Lionel Richie here and there. My wife and I watched the film this weekend (thanks 20th Century Fox!) and we both agreed that it felt like we were watching Anna Kendrick and Justin Timberlake onscreen and not CG miniature creatures. We think that’s a compliment to the voice acting that was done for this film. The megacast they had in this film was a bit underused IMHO. You got Gwen Stefani, James Corden and a host of other talented people and they make, what, two or three songs? That’s underutilized if you ask me. Still, the songs where we hear them perform in was eargasmic. A great cover too. What we loved about TROLLS is its ability to connect to the audience despite how simple the plot is. We get to empathize with these characters like how lovestruck scullerymaid Bridget is with King Gristle, how Gristle develops his feelings and thereby proving by himself that you don’t need trolls to become happy. And how Branch gets out of his shell after a big losing moment for #TeamTrolls. Amidst that, LOTS and LOTS OF SINGING AND DANCING! So yeah, TROLLS is a fun movie. Now I know why they chose to limit the number of things we see in the trailer, because even a peek could derail the experience. Good call from the studio.